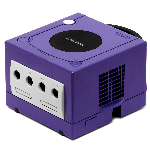 We've written about Dolphin before: it's an extremely popular emulator for the Nintendo Gamecube and Wii that runs well on modern gaming PCs. The developers have been trying to get it running reliably on Android for years. They're not quite there yet - the software needs a lot of work, and we still need more powerful devices to get a true one-to-one gaming experience. But the NVIDIA SHIELD Android TV, with its ridiculously powerful and video-focused Tegra X1 system-on-a-chip, is getting pretty close. Check out the video below. It's a development build of Dolphin running on the SHIELD, with well-known 3D Gamecube games like Phantasy Star Online, Luigi's Mansion, Ikaruga, Animal Crossing, and Super Smash Bros. Melee. Some of the games still exhibit noticeable slowdown, and sound issues are fairly constant. While some games are more or less playable, more intense titles like Smash Bros. are still far below ideal. Wii games, which are slightly more advanced and run at a higher native resolution, are notably absent. The Dolphin team had to abandon a lot of older devices by removing support for 32-bit ARM v7, but things are coming along nicely. We can but hope that the next generation of flagship phones can do even better. Of course, we wouldn't even need emulators if certain companies would release decent ports, or certain other companies would release anything on Android at all, or if SEGA would just GIVE ME SKIES OF ARCADIA ON MY PHONE ALREADY.